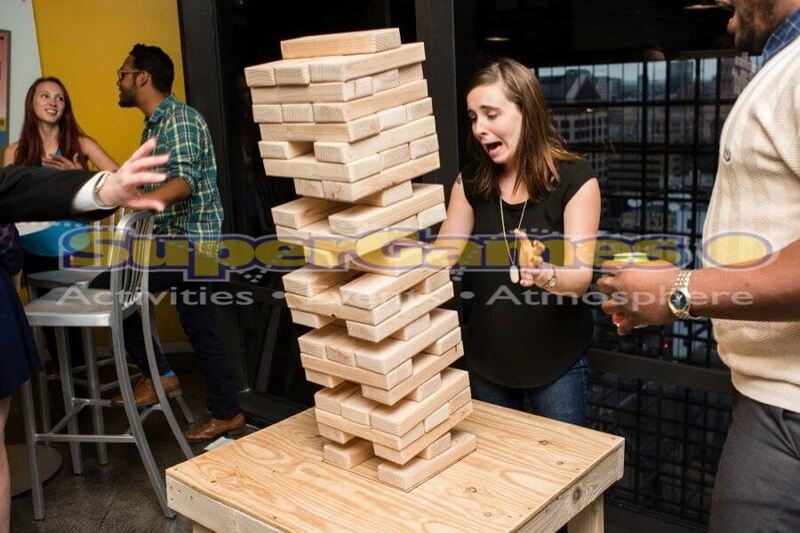 Giant Jenga – consists of 56 soft pine or cedar wood blocks. These 56 blocks create a 19 level tower standing almost 3 feet tall at the start of the game. Players take turns to remove blocks from the tower and place on the top. The goal is to build the tower as high as possible using only one hand, without making the tower fall!